Whether a simple one colour or a complex six colour piece, and with paper stocks ranging from lightweight uncoated paper to heavyweight gloss card, your print job requires the correct handling. As leaders in the printing industry, our objective is to produce high quality, commercial sheet fed printing that enhances and promotes your image. 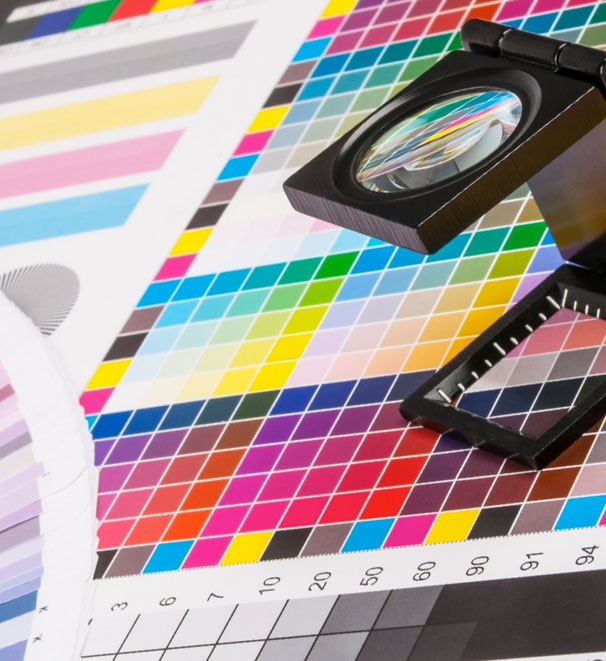 Offset printing is the smart option when you're printing larger volumes and you need to ensure accurate colour reproduction. Offset printing uses metal plates (it’s called ‘offset’ because ink isn’t applied straight to paper) so unlike digital print there are some additional set-up costs that will need to be considered. Offset printing also allows a wider range of papers and specialty inks so you are only really limited by your imagination. Lochiel has grown its business over the years by investing in the latest Heidelberg offset presses. These machines are state-of-the-art, and can provide not only the quality of print you are looking for, but also do it in the shortest of timeframes. Add in the experience and attention to detail that our press operators bring to your work and you can be confident of the best possible outcome. The Speedmaster CD 102 is a universal straight-printing press for commercial, packaging and label printing. Equipped with innovative technology, it provides flexible processing of a large variety of jobs and materials with maximum flexibility. Its efficiency and cost effectiveness cannot fail to impress. Easy to use, with short makeready times and integration in our Prinect workflow, the Speedmaster CD 102 achieves constantly high print quality at speeds of up to 15,000 sheets an hour. A six-colour A3 press that delivers excellent quality with the ability to print an additional spot colour and seal all in one pass. A two-colour A3 press that delivers cost-effective quality. It can also number and perforate inline.